Home › Player Spotlight › Player Spotlight: How Good Might Javier Baez Become? 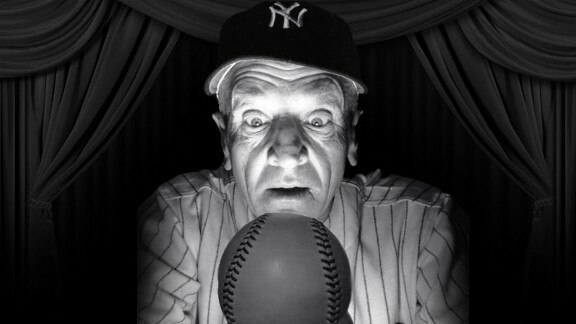 Scouts all around the Majors would kill for a crystal ball that would shed light into the future production levels of Minor League prospects. Well, we have one and it’s called OOTP15. Let’s look into our crystal ball and see what we find about today’s subject, Javier Baez. If you listen carefully when Baez swings from his heels and makes solid contact, you’ll hear both a thunderclap and a choir of angels singing hosannas to the fastest bat in the minors. The young shortstop’s raw power is unquestioned, and launching 20 bombs in a half-season taste of Double-A speaks volumes about his ability to hit advanced pitching. Baez has soft hands, a strong arm and enough range to stick at shortstop, but his top-peg intensity and aggressiveness can lead to rashes of errors in the field and whiffs at the plate. He made strides as the year wore on to slow the game down and work better counts, but there’s still plenty of room for improvement, and if his glove remains unreliable he may need to slide down the defensive spectrum. Baez may never post high OBPs or win Gold Gloves, but the possibility of game-changing power at a premium position has Cubs fans hoping to see him in Wrigley this summer. Those are very positive remarks, and I sure am excited to see what he can really do. So let’s do just that. The year is 2020 and the Chicago Cubs have changed their name to the Chicago Axman. From 2014-2017, they significantly improved year over year, before seeing a dip in team record in 2018 and 2019. They won the division though in both 2017 and 2018. How much of a factor was Javier Baez? Take a look at his stat line in 2019. Take a look at his career stats, along with the number of times he has appeared on league leader boards. His 2017 and 2019 seasons were very different. 31 more hits and nearly 50 points higher in batting average saw his VORP rocket from -6.5 to 42.6, the highest of his career. His overall ratings are quite good, except for his strikeout percentage and inability to draw walks. I don’t see those changing much either, since his work ethic rating is set at low. His leadership ability and loyalty are also marked as low. Those personality traits definately scare me and would have me lean away from signing him to a very long term, team cornerstone type of deal. 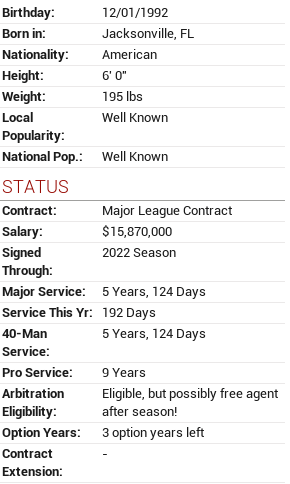 The Axmen gave Baez a 4 year, $63.49M deal (about $16M per season). How good do you think Javier will be in 2020? Would you spend this kind of money on him? I’m really hoping he gets there.